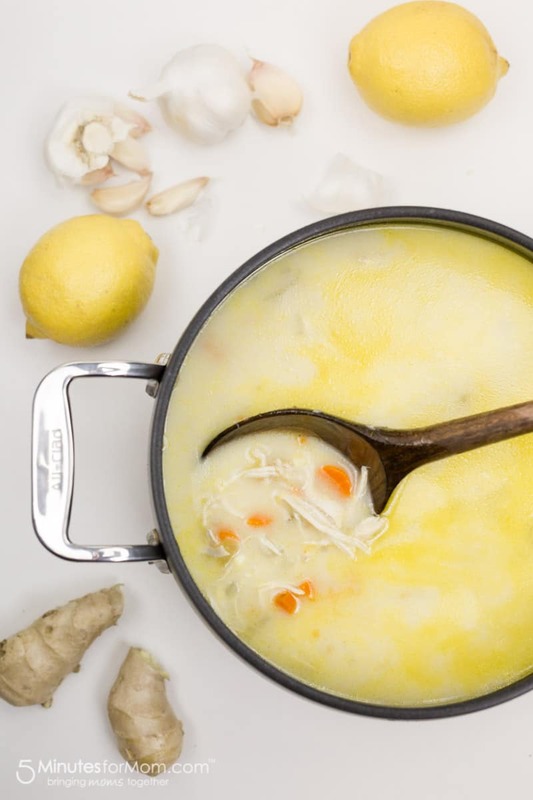 You can count on these immune boosting soups to warm you up form the inside out and give your immune system the boost it needs to stay healthy during this cold and flu season. Nothing says warm and comfy like a delicious bowl of soup. 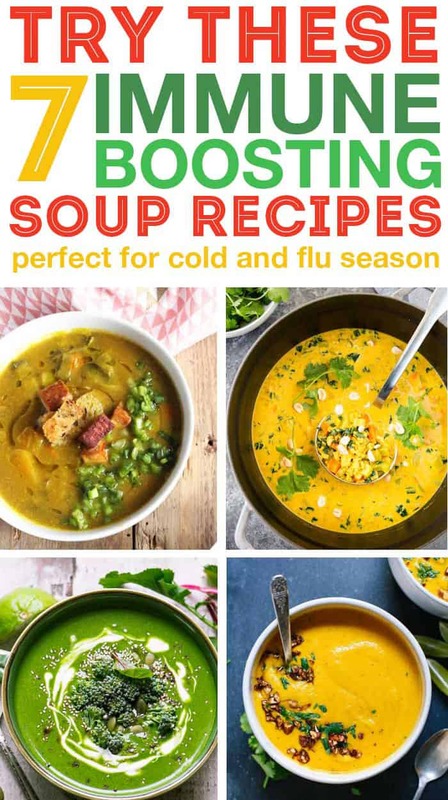 I am definitely a soup person, and that’s why I had to share these amazing immune boosting soups with my wonderful readers. We had one kid sick last week, and both of our kids have had friends with the flu this season. You better believe we’re upping our game on trying to keep everyone in the house healthy. Thankfully, my husband and older child got their flu shots this year. I however, stubbornly scoffed at the idea. Now, here I am, researching which ingredients have antioxidants for strengthening my immune system. Once I had my list of ingredients to include, I went straight for soup recipes. I was blow away by these delicious soup recipes that are loaded with nutrients and immune boosting ingredients. 3. 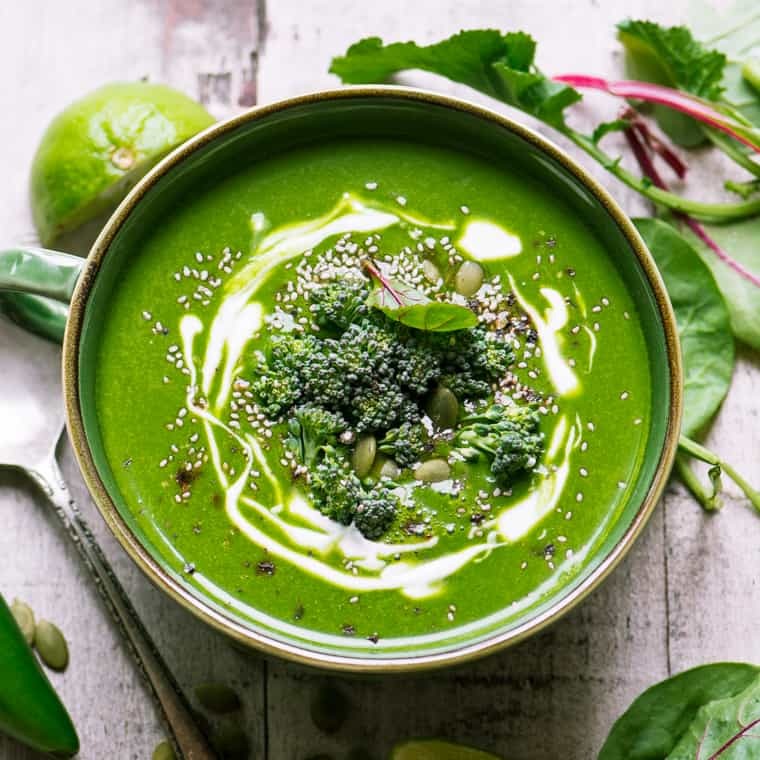 This gorgeous Green Goddess Soup from The View from Great Island is packed with super-healthy, immune boosting ingredients. 4. 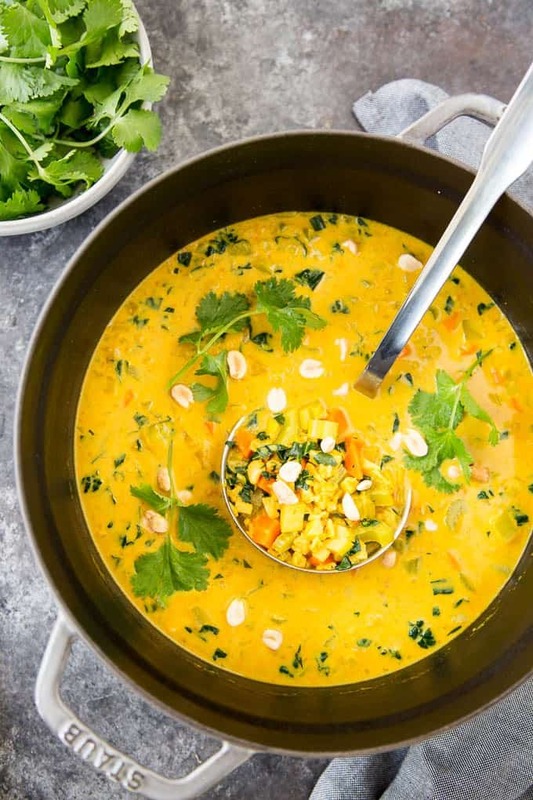 This curried cauliflower soup from Simple Healthy Kitchen has my name all over it. I am a curry fiend and love cauliflower to the end of time. 5. 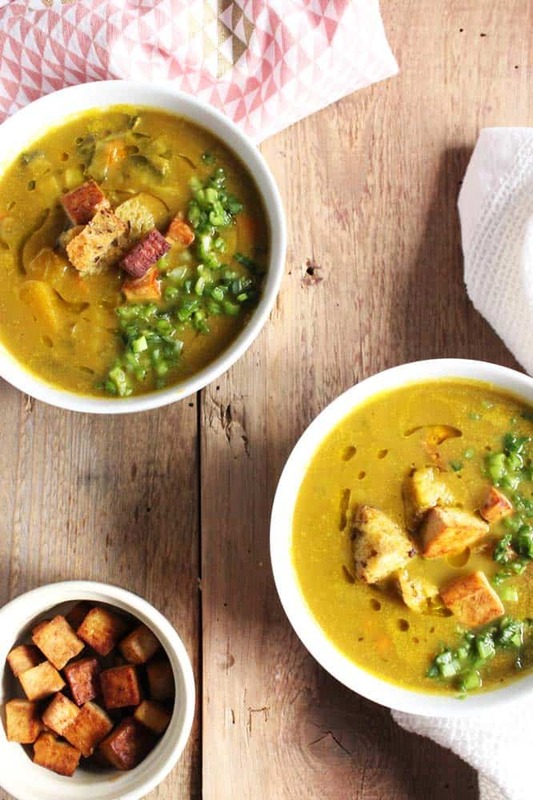 Mmmmm….Just looking at this winter squash, leek, and vegetable soup from The Naughty Nutritionists I can feel the warmth. 6. 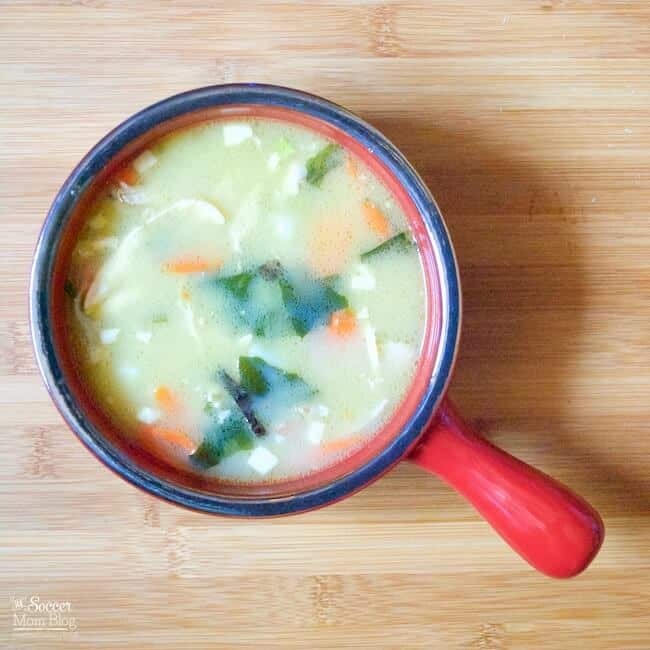 Give this garlic chicken miso soup from The Soccer Mom Blog a try this week. Most of the ingredients you probably already have, but I think it’s worth the trip to the store for the Miso Soup mix and roasted seaweed sheets. 7. Now, I am normally not a carrot person. 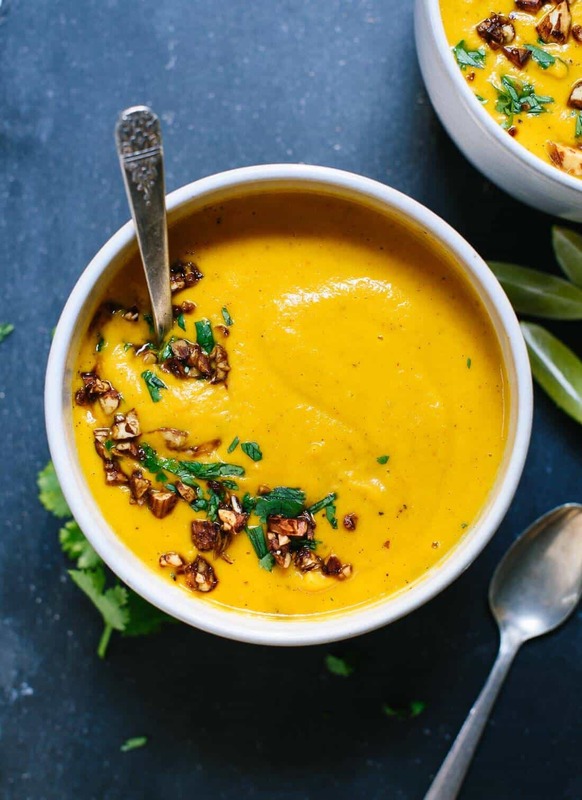 But, the fact that carrots are indisputably healthy coupled with how delicious this soup looks, makes me want to make this Thai carrot sweet potato soup from Cookie and Kate right now! 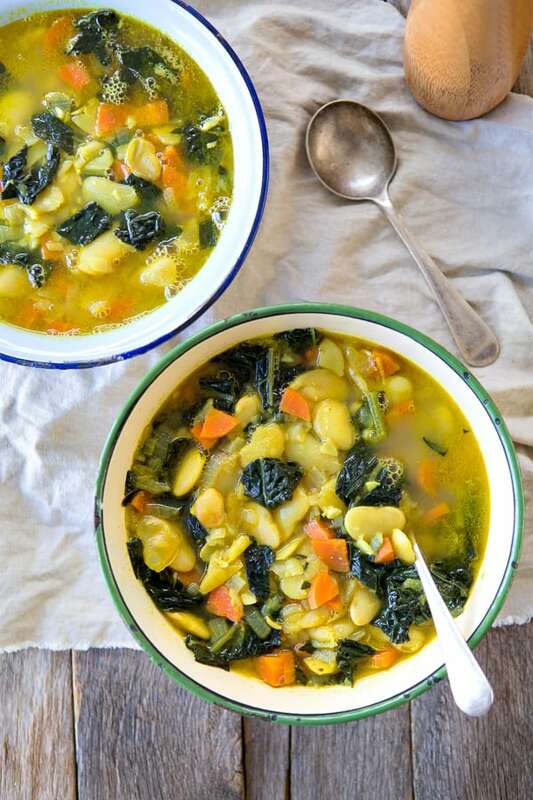 Which soup recipe will you try this week? 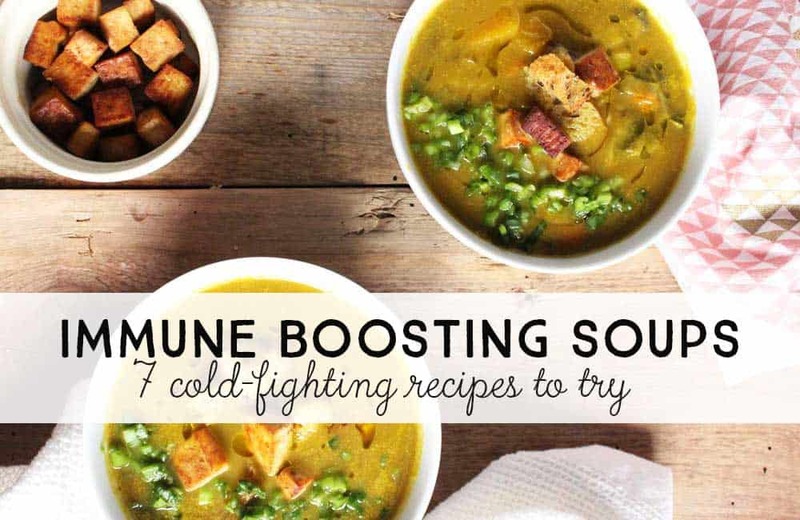 I am in love with all of these nutrient rich, immunity strengthening soups. Now, just eating these soups is no guarantee that cold germs won’t find their way to you this year. But keeping your body healthy and feeding it vitamin-rich foods can only help, right? Plus, I never need an excuse to eat soup. Let me know if you try any of these. I’d love to hear your favorites? And, if you have any favorite recipes that are perfect for cold and flu season be sure to share them in the comments! Thanks for reading and stay well!